Aloha Kakahiaka. Sharing some mana’o with you on this rainy Saturday. Mo’olelo time. So yesterday night I had a premonition to pay homage to these two powerful healing stones: Pōhaku Kanini’ula’okalani (Rare Sacred rock of Heaven to recover from sickness) And so I did and the shrine has strong mana from it, yet my na’au is telling me the stones are not really here. Just the intention placed here is conjuring the mana. Somehow there is a strong connection of them calling to me. In need to talk with people here to know more about these stones, and how these Hawaiian stones transitioned into being a Buddhist/Hindu shrine at a Protestant Church next to an Elementary school. I have so many questions and excited on this journey these stones have started for me. I’ve done some research and the address to visit this shrine is at the end. If you do intend and go to visit, can you send me some feedback on your thoughts and experiences? Two famous healing stones of Wahiawa were temporarily located at Kukaniloko after their discovery at a nearby stream. Tradition tells of two sisters from Kaua’i whose supernatural powers were only effective during the hours of darkness. They used their powers to “fly” to O’ahu to visit Kukaniloko, but were caught by the first rays of the sun near their destination and dropped by the bank of the stream in Kaukonahua gulch where they turned into stones. They lay there until the early 1900s, when the road through the gulch was widened. After dislodging the stone, the foreman had a dream in which a stone repeatedly said to him “you have my feet up and my head down, please turn me around”. Returning to the construction site the next day, he recognized the stone and had it turned over. Two old Hawaiian men assisted him and then they revealed that the stone was named Kaniniulaokalani and held a spirit that should be cared for. The foreman arranged for this stone and its companion to be taken to Kukaniloko. In 1925, the stones were included in a rededication ceremony at Kukaniloko. At that time, the stones gained attention when pineapple workers reported miraculous cures because of the stones. The stones became the destination for healing pilgrimages and the Daughters of Hawaii, who were the caretakers of Kukaniloko, decided to remove the stones to a cemetery in Wahiawa. There they became even more popular. People came from miles to visit them. The smaller stone was reputed to have special healing powers for women and young children. Stalls selling leis, water, incense, fruit and candies for use as offerings sprang up. Sometimes offerings of a thousand dollars a month were reported in 1927. The popularity of the site declined with curfews and rationings during World War II. The cemetery became the site of a suburban housing development. 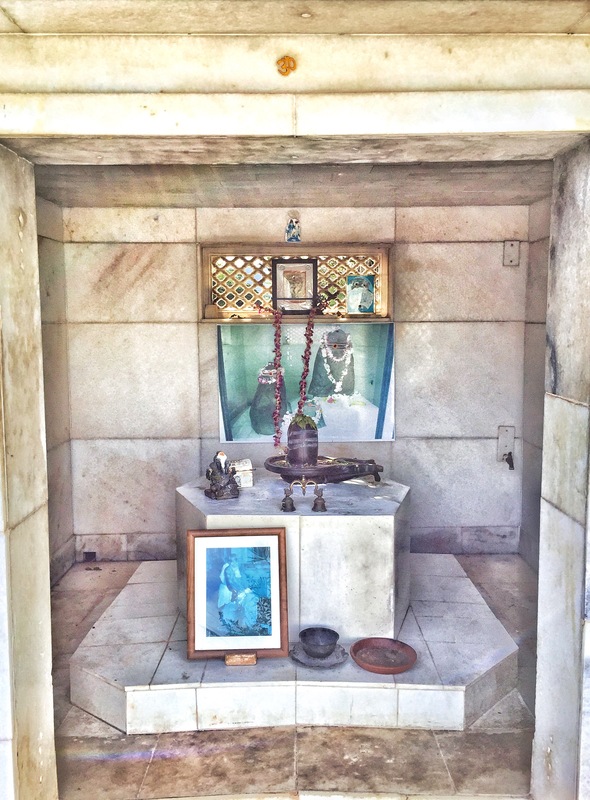 In 1948 the stones were moved once again to their present location at 108 California Street in Wahiawa where a Japanese shrine-like crypt was erected over the stones.